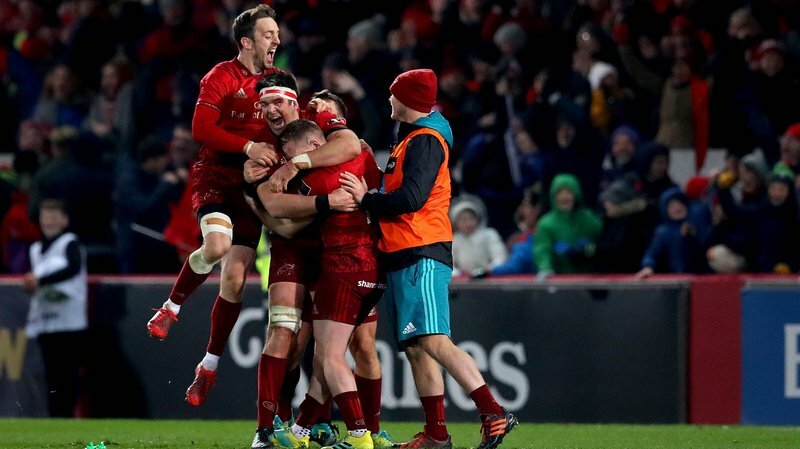 In case you missed it, Munster pulled off one of the great PRO14 comebacks on Saturday, coming back from 14 points down with less than 20 minutes remaining to defeat Glasgow with a last-gasp penalty. The southern province were second best for most of the game, and defeat looked certain for much of the second-half. 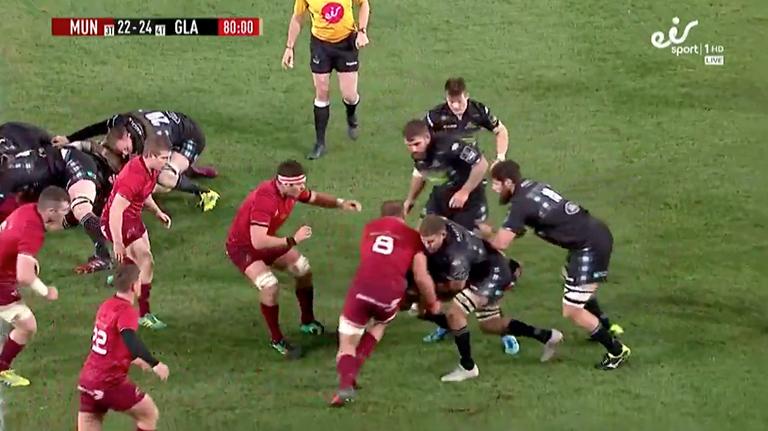 But tries from Alex Wootton and Alby Mathewson gave them hope, before Rory Scannell stepped up with a monster penalty to send Thomond Park into raptures. But the penalty that ultimately decided the game has caused a bit of fuss online. CJ Stander takes out a Glasgow ‘latcher’, leaving the ball carrier unprotected so Peter O’Mahony can swoop in and get hands on the ball. 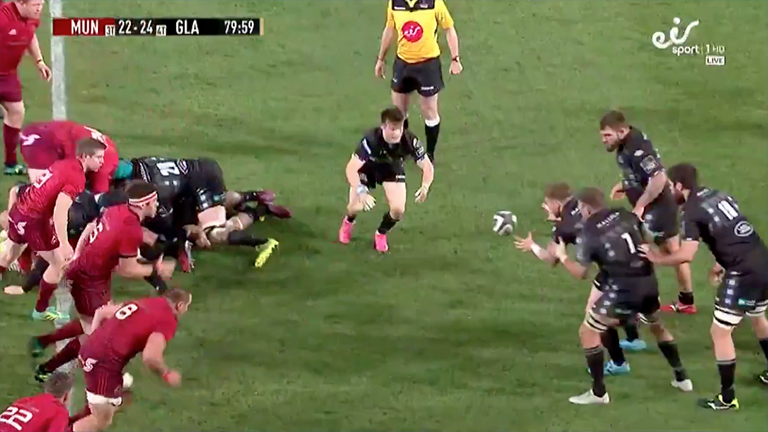 And it appears this was very much the Munster captain’s plan all along, with former Connacht player Michael Swift spotting O’Mahony clearly telling Stander to take out the support player so he can focus on getting his hands on the ball. But is this cheating? Well it’s a tricky one. If you look at the video below you can see how it all unfolds. Glasgow get their ‘latch’ going before the ball-carrier gets his hands on the ball. This is NOT illegal. It would only be illegal if the ‘latcher’ binded in such a way that he obstructs the tackler. 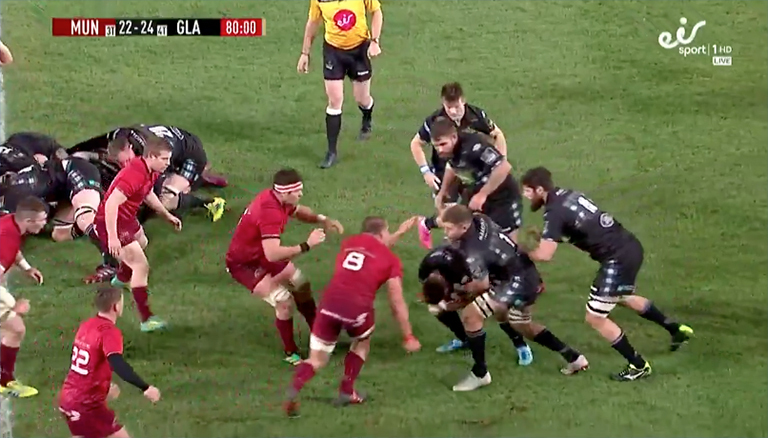 Although the argument can be made that the Glasgow latcher is indeed in front of the ball-carrier (to the side with his foot in front), effectively obstructing the tacklers, but that’s another argument and another issue. But when the ball carrier has his hands on the ball with his latcher intact, is Stander free to tackle the support player? Well there’s actually no law to say either way, but if the bind is already in place – are they both not effectively ‘ball-carriers’ leaving Stander free to hit either/both? So just clever rugby or cheating? It’s a difficult one. We’re gonna have to consult a referee in the meantime and get back to you with a definitive answer. Andy McGeady has done a great Twitter thread on this below that’s well worth a read. Ok. This is something upon which I agree with Paul. It's something you'll see many times this season, particularly if watching Leinster or Ireland play. And to my eyes it adds nothing to the game, bar risk. But there's a bit to unpack.